Comfy, fashionable and affordable footwear is something we all hope to find. Clarks not only sell fashionable shoes at affordable prices but they’re also top-quality, which means long-lasting and durable footwear perfect for all occasions and all feet! It is quite evident from reviews that Clarks footwear is adored across the country but have you stopped to wonder why? If the answer doesn’t jump out at you from the paragraph above, then we’ve created an in-depth guide to Clarks footwear below. You’ll soon see why they’re one of the most popular brands around. Clarks is well-known for its comfortable and practical shoes, and particularly for its desert boot, an ankle boot with crepe rubber sole which was worn by British officers in the Second World War. The original Clarks desert boot was designed by the great-grandson of James Clark in 1950 and Clarks still sell versions of this today! These days, Clarks is a multi-million pound company and sits 31st in the list of the largest privately-owned businesses in the UK. With their innovative ideas and forward thinking, Clarks shoes are quickly becoming a firm favourite amongst UK shoppers, even branching out into India and China with their marketing and stores to gain a large international following. In recent years, bus-loads of tourists from China have been flocking to Clarks to get their hands on the “classic sensible British shoe”. Clarks shoes began just under 200 years ago, in 1825, when the Clark brothers, Cyrus and James, made a slipper from off-cuts of sheepskin. 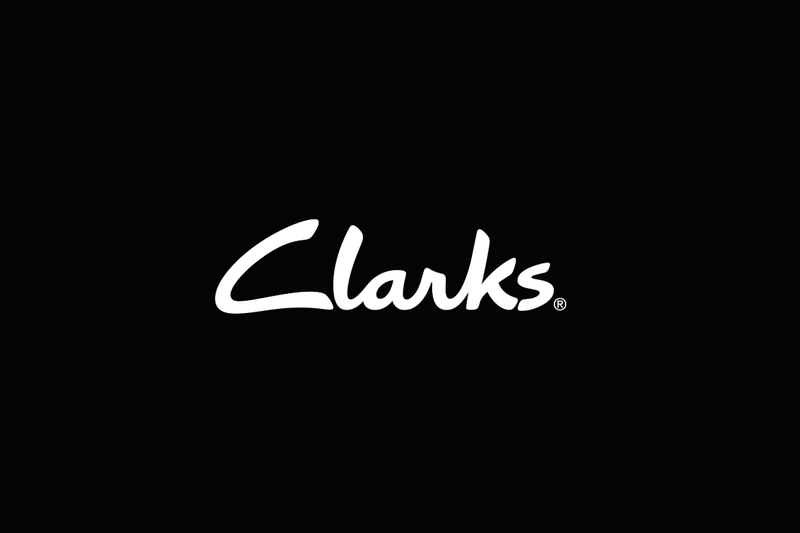 Today, Clarks is still a private company with 84% being owned by the Clark family and the rest by employees and related institutions. Where Are Clarks Shoes Headquarters and Factories? Clarks shoes are made in England. Somerset, to be exact, and their headquarters can still be found there. Clarks shoes factories can be found in Vietnam, India and, soon, the UK. 12 years ago, Clarks moved their factory from the northwest of England to the Far East but have recently announced that they are building a large-scale factory next to their headquarters in Somerset to aid the manufacturing of their desert boots, as well as generating shorter lead times on their products. What’s So Good About Clarks Shoes? Long-lasting, functional and versatile are just a few words to describe Clarks shoes. Clarks specialise in making every pair of shoes comfortable and durable, with new technology and innovative ideas. Every shoe they manufacture is rigorously tested to ensure it meets up to the high standard that they expect. That’s how good they are. Feet, how they grow, how they bend and how they move when walking, are all factors that are taken into consideration in Clarks manufacturing process, to ensure their shoes are comfortable for everyone, from the day-to-day walkers to the fluffy slipper-wearer. Their goal is to maintain their reputation for putting the health of your feet first, over style and fashionability, which is why Clarks shoes are good for your feet! Although don’t think that this means the shoes aren’t pretty to look at; Clarks have many cool styles to suit everyone, from black leather lace up women’s ankle boots to casual men’s slip-on shoes. How Do Clarks Shoes Fit? Clarks shoes are designed for optimum performance and are manufactured for all foot types, styles and foot concerns. Depending on the type of shoe that you choose, Clarks shoes will provide ankle and arch support, and will be wide enough to allow room for manoeuvre. If you’re after a shoe that does all of the above then a Clarks shoe is right for you. Are Clarks Shoes True To Size? People will often purchase the incorrect shoes for their feet, whether that be ill-fitting shoes or completely the wrong size. This can result in foot issues such as blisters and bunions. Clarks shoes are generally true to size, however we would advise you measure your feet to find out the exact length and width that you need. As Clarks shoes are designed to keep your feet happy and healthy you’ll find that the majority of their shoes come in half sizes, too! By heading in-store or purchasing a shoe gauge online you shouldn’t have any issues finding a perfectly-sized shoe. How Wide Are Clarks Shoes? Clarks are renowned for their shoes types and styles and provide small, large, narrow and wide shoes to suit every type of foot, and for children and adults alike. Take a look at our shoe width guide for more info on shoe width fittings. Make sure your foot is bare (no shoes or socks!) and place your foot flat against a wall with your heel touching the wall. Place a ruler or tape measure to the side of your foot making sure the end of the ruler is touching the same wall as your heel. The length of your foot will be the measurements taken from the wall to the longest part of your foot. Remember, the longest part of your foot isn’t necessarily your big toe. Women’s and men’s shoes start from a size 2 and go all the way to a 15. Children’s shoes also start from a child’s size 2 to an adult’s size 2.5. The measurements on our size guides are displayed in UK sizes, US sizes, standard EU sizes and foot length in centimeters, making it really easy for you to pick the correct length of shoe. As with any shoe, cleaning Clarks shoes is a must if you want to extend the longevity of your footwear. Applying a shoe polish to leather shoes and suede protector spray to suede ones is how to protect Clarks shoes, keeping them looking brand new all year round, no matter what the weather is like outside! Depending on the type of shoe that your purchase, Clarks shoes can be waterproof. If you’re unsure then we’d advise purchasing a waterproof solution to wipe over your shoes to ensure that they’re protected – there’s no harm in waterproofing them twice if it improves the lifespan of your shoe. Can I put Clarks shoes in the washing machine? We would advise not to. Some say trainers are perfectly fine for the washing machine as they tend to be made from cotton, nylon and polyester which are materials that won’t ruin in a lot of water, however, adhesive used in the trainers will probably end up deteriorating over time causing your trainers to fall apart. Your Clarks shoes can be cleaned easily though; we would just advise that you use a cloth and warm water to gently remove any dirt. Clarks shoes are designed with healthy feet in mind; whether you’re looking for a stylish women’s boot or a durable running trainer, Clarks have the perfect shoes for whatever your needs, with the added bonus of support and comfort! If you fancy giving Clarks a try, take a look at our extensive range of Clarks shoes! What To Wear For Work During Summer!